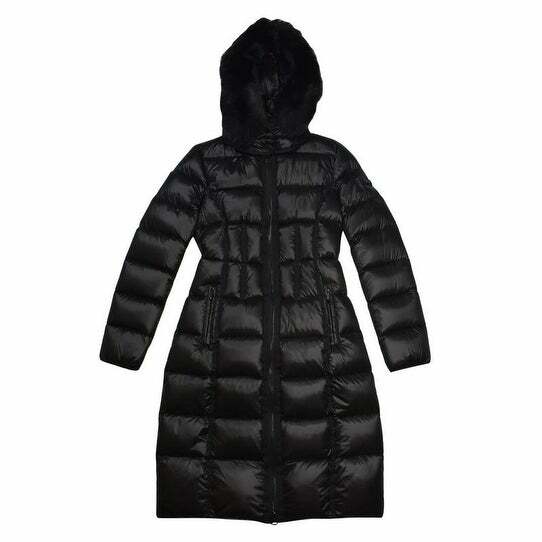 BCBGMaxazria Women's Black Down Hooded Puffer Coat. Front zip closure. Two hand pockets. Quilted. 3/4 length. Hooded. Fur trim on hood. Puffer. Down filled. Machine wash.